It’s been a great fall season here at Bidawee Farm! 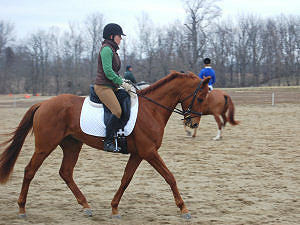 Ethan, my ” very orange ” OTTB, has continued to impress me each and every time out this fall at the preliminary level. He continues to meet the new challenges head on at the at the upper levels, consistently finishing in the top ten each time out! We will aim for Fair Hill International in the spring, if the weather cooperates this winter here in Virginia. 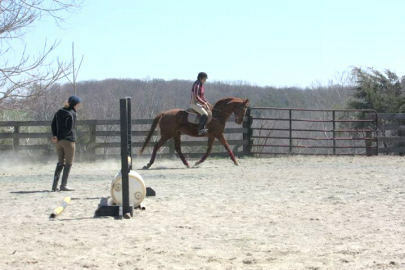 Linda Sommers continues to host The Ed Borreson clinics at her beautiful farm in Keswick. I value these clinics tremendously, and the knowledge I have gained is invaluable. 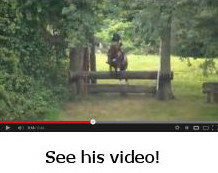 Ed’s instruction has made a huge difference in Ethan’s flat work and the dressage scores reflect it! 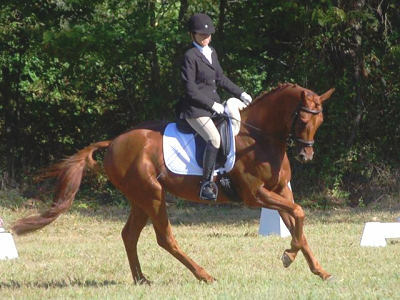 Linda Sommers’ beautiful thoroughbred gelding “211 In Progress” had several very successful outings at the USEA Beginner Novice level this summer, and is now showing his versatility. 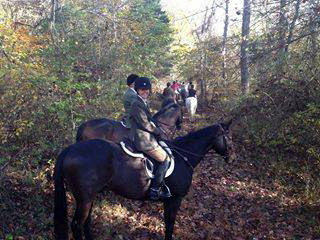 This fall I have begun hilltopping with the Warrenton Hunt, and “Twoey” could not be a more perfect gentleman in the field! 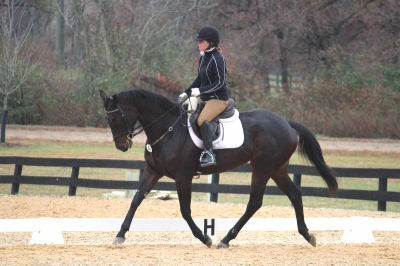 He will be on the market soon, so if you are looking for the perfect amateur horse, he is definitely your guy. 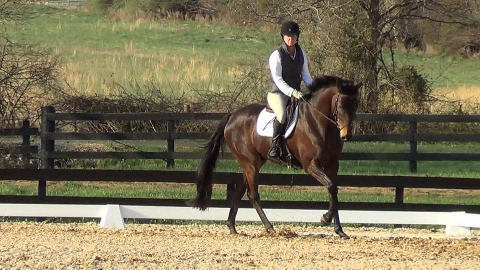 Gambling Bug, an OTTB mare that I purchased over the summer, has had the appropriate let down time and has been in work for the last two months. 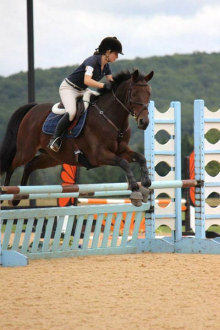 She will make her debut at Morningside training farm on the 16th of November in the Beginner Novice division. Stay tuned for updates on this promising mare. 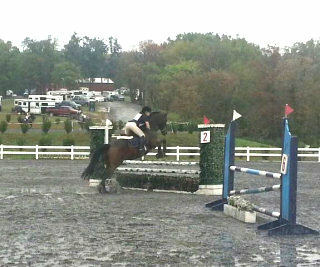 I have high hope for her future in the eventing world! ** UPDATED ** Bugesy finished 5th on her dressage score in her first CT at Morningside !! Katie LaVallee completed her first ever Beginner Novice recognized horse trial at the Kelly’s Ford Equestrian Center on Skipper De Do and finished 7th. Katie also passed her C1 USPC rating this fall aboard Skipper and earned very high praise from the examiners on all of her criteria! We are so proud of her here at Bidawee farm! 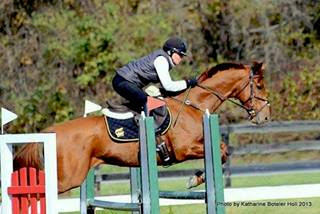 Michelle Gnozzio and Mickey continue to shine in their partnership. 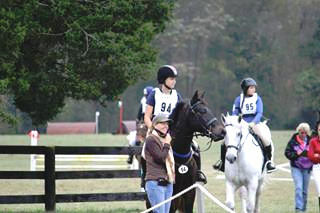 This fall, they moved up successfully to Novice in less than ideal conditions at the Maryland Horse Trials. 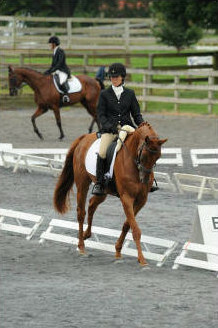 They finished in the top ten adding just a few time faults on the cross country course to their dressage score. 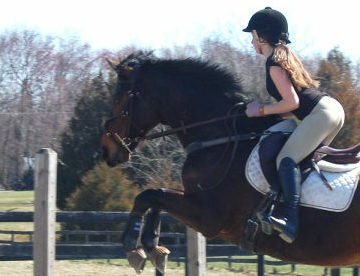 They also passed the next rating level at Pony Club, sailing through their C2 examination with flying colors! And, as always, we want to thank our wonderful sponsors, friends and owners whom we could not do without. Bidawee wants to send out a special thank you to our newest sponsor, Antares Sellier of France. We at Bidawee farm are proud to represent you and are grateful for your support! For a full list of all of our wonderful sponsors and supporters, please see the home page of our website. Ethan puts in another fabulous effort at his 2nd time out in the preliminary division at Waredaca. 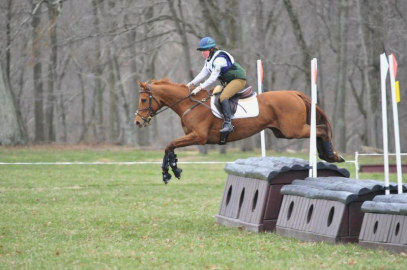 We added a few time faults to a clean jumping effort on XC…. I came home with a confident horse that had a great learning experience Now we are ready to go back out, turn on the rocket burners and show them what he is made of !! July 2013 A Winning Team!!! A huge congratulations to Michelle and Mickey in their Championship USPC success !! Bidawee farm could not be prouder of them !! Well done !!! Great Day at DRPC HT for Bidawee farm !! Thank you Linda Sommers for giving me the ride on your amazing horse “211 in Progress”. So proud of this horse finishing 2nd in his first recognized HT on a dressage score of 22 !!! Miesque Star and Michelle Gnozzio won the BNR division. So happy for Michelle and Mickey and their new formed partnership !! And Donna Dugas brought home a 6th place on JT !! I would say it was a very good day !! We have been staying very busy here at Bidawee Farm, and spring season has been nothing less than fantastic ! We have added 3 new stalls to the barn and enlarged our program with lots of new students and horses in training !! All of the students, friends and family here at Bidawee farm have been displaying a wonderful team spirit supporting and rooting each other on !! Thank you all for your dedication to excellence and your support for one another !! I would like to take this opportunity to welcome the Gnozzio family! 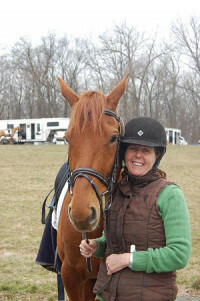 Michelle is leasing Miesque Star for the 2013/14 season, and plans on going for her USPC C-2 rating and to the Eventing Championships in Lexington this July. They have already displayed what a cohesive team they make, bringing home ribbons every time out. 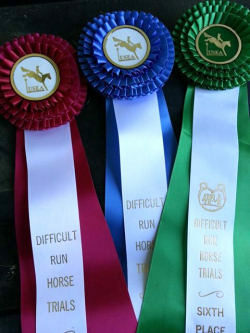 Most recently they completed their first BN horse trials at the Maryland Starter Horse Trials at Loch Moy in a large and competitive Junior Division and finishing 2nd on their dressage score of 31. We can’t wait to see all of the wonderful things the two of them will accomplish together this year. Ethan has convinced me that he is confirmed at Training Level this spring by putting in multiple wins in the dressage phase and fast and clean cross country rounds in all of the USEA area 2 events we’ve attended this year, including Loudoun Horse Trials, Fair Hill International and Morven Park. Hopefully we will stay on target for a move up to preliminary in July. 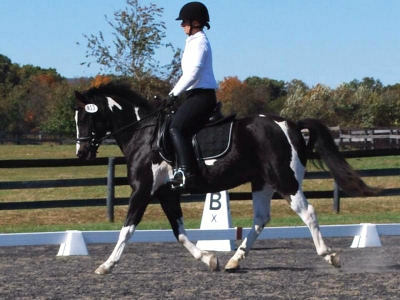 Linda Sommers’ “211 In Progress” is also proving that he wants to be an event horse, making his debut at beginner novice with dressage scores in the 20’s and showing a willing and eager attitude for cross country and show jumping. 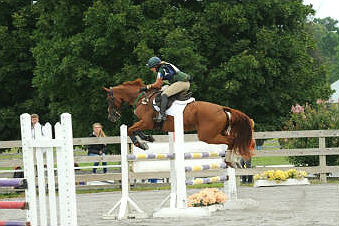 He has been to several local events and has been in the top three placings every time out!! 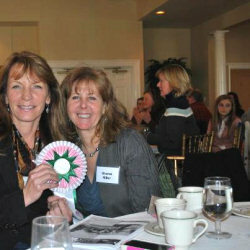 Thank you, Linda, for your support and for giving me the ride on this wonderful horse! 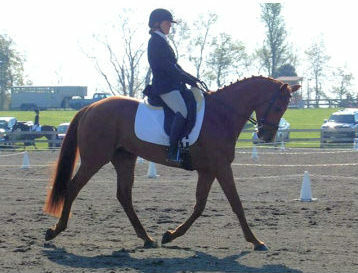 Linda Sommers is hosting dressage clinics this spring/summer with Ed Borreson. I can’t say enough wonderful things about his teaching style… it is nothing short of amazing! If you are interested in participating in one of his clinics, please feel free to contact me and I will be happy to put you in touch with Linda. 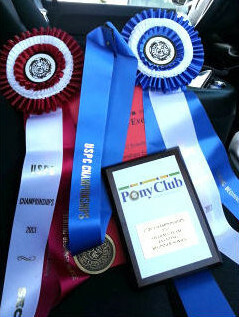 We have several students that are sweeping the Warrenton Dressage Show Series with fantastic scores. They have really worked hard and are now reaping the rewards. 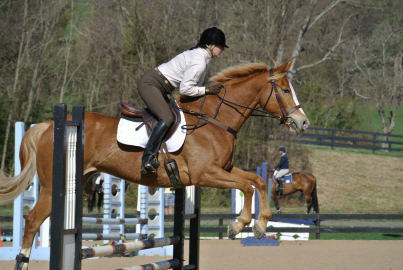 Gunnar, the cutest pony in the world continues to improve in the hands of Carla Rollins. Thank you for your continued support! And I am excited to announce that my longtime student, Donna Dugas, will be joining us at Difficult Run – she will be competing in her first recognized event this year on Just in Time! 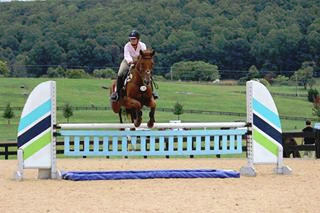 I’m currently teaching summer clinics every other Tuesday at Sarah Warmacks “Hilltop Farm Va”. The facility is wonderful and her farm is located in Gordonville Va. If you have interest in signing up please contact me and I will put you in touch with Sarah. Hilltop farm also has a great show team and they are out and about almost every weekend showing off their excellent horsemanship skills ! Good luck next weekend at the Thoroughbred celebration show in Lexington !! I’ll be rooting for you all !! Hopefully Bidawee farm will be traveling with you in October to the next one ! 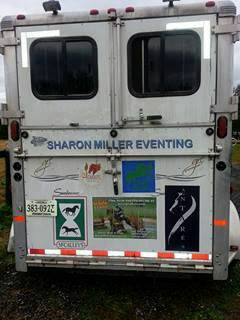 Again I would like to thank all of the people and fantastic products that sponsor and support SharonMillerEventing at Bidawee farm. Without them none of this would be possible… Please consider supporting our sponsors and visit our home page for a complete list with links to their websites and products. Bidawee Farm would like to extend a special welcome to our newest supporter, C4 Belts Equestrian, fashion color-coordinated belts and neck straps !! What a great place to start a positive season !! 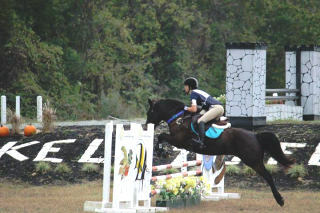 Ethan was very confident his first time out on XC since last fall. He put in three positive phases in the open training division to finish in 4th place !! 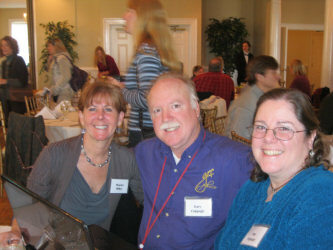 Bidawee Farm had a wonderful outing yesterday at the CT at Morven Park. Ethan and I had a fabulous day finishing on our dressage score to bring home 1st place in the training level CT division… Feels good to knock the rust off !! 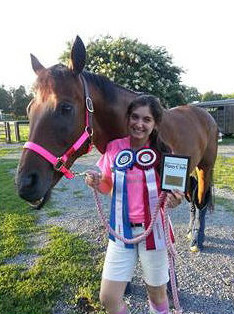 A huge congratulations goes out to Katie Ryan from Bidawee Farm! 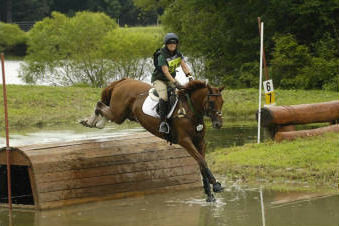 What a year it has been for Katie Ryan and Bidawee farm’s sale horse Indiana Al, now known as Katie’s American Dream !!! 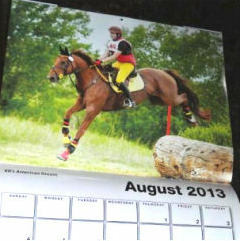 They have had a wonderfully successful competition season, won multiple prizes and year end awards and now have been selected to be in the American Warmblood Society 2013 calendar !!! Thank you for making Bidawee farm so proud of you both !!! Friends, students, and sponsors of Bidawee farm started the year year right in January by celebrating the accomplishment of 2012 at the CDCTA awards luncheon !! Congratulations to all the award winners and thank you for all the support from our friends and family !! Bidawee looks forward to a fun filled 2013 season !